In 1914, the first motorcycle helmet was made of canvas covered in a hard resin called shellac. In the 1940s, helmets were made of rubber and cork. Bell brought out the first “modern” fiberglass helmet in 1957. By law, every helmet for sale has to meet certain safety standards. As a result, there are no "poor" materials. However, there is a trade-off between weight and strength. Thermoplastic helmets (typically polycarbonate) are easy to form and inexpensive. However, it isn't the strongest material, and it doesn't abrade particularly well, so it needs to be thick. This results in the helmets being heavy. Open-face road and off-road helmets have low aerodynamic efficiency, but riding speeds tend to be slower, so the effects aren't so pronounced. Sports and race helmets have to balance streamlining -- straight-ahead performance -- with the need for riders to be able to turn their head. Think about your riding style and whether this is something you need to take into account. 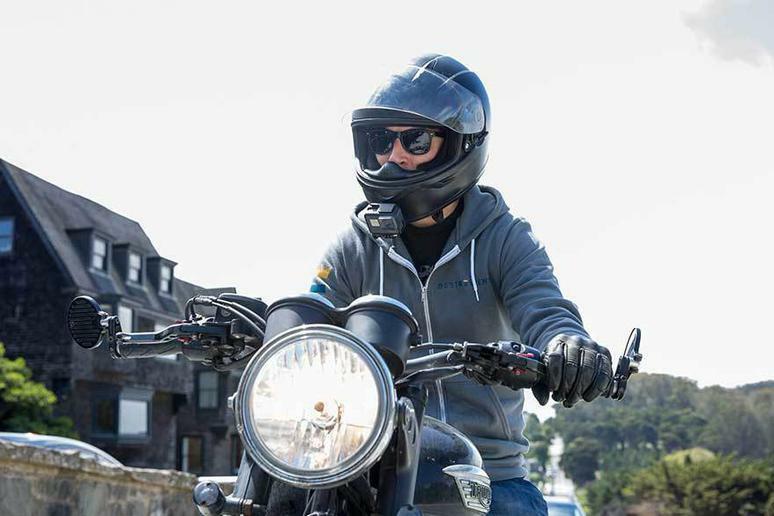 Our take: Excellent, full-featured helmet that you'd expect to cost more. What we dislike: Air vents don't close, so you'll want to wear a mask in winter. Padding doesn't accommodate glasses easily.